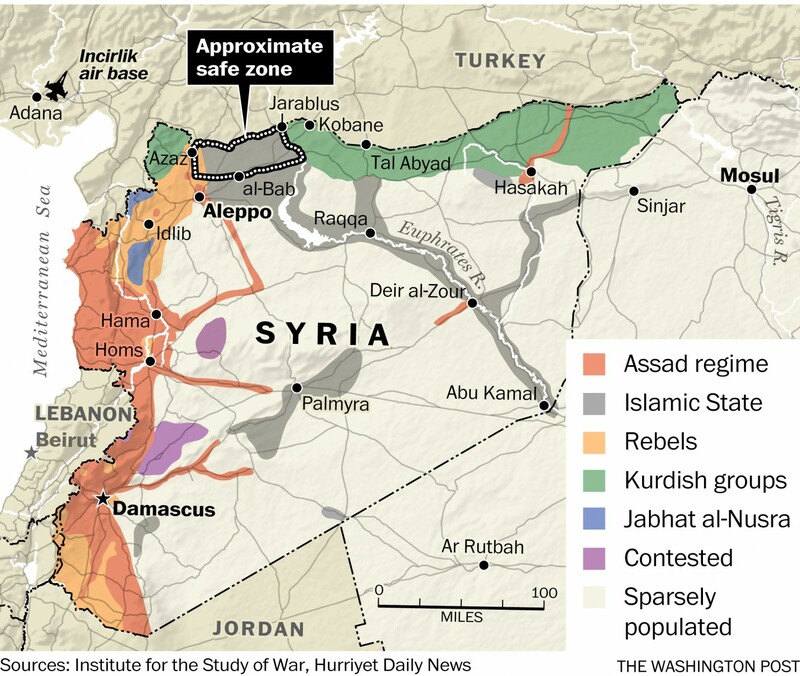 Turkey Invades Northern Syria — Truth of Turkish “Coup” Revealed? Syria’s conflict has escalated into dangerous new territory as Turkish military forces cross the Turkish-Syrian border in an attempt to annex the Syrian city of Jarabulus. 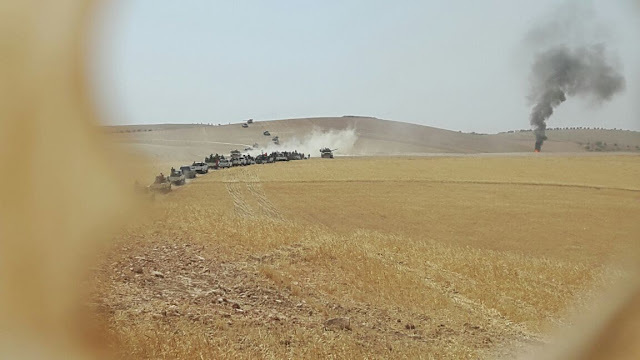 The operation includes not only Turkish military forces, but also throngs of Western-backed militants who will likely be handed control of the city before expanding operations deeper into Syria against Syrian government forces. With the beginning of the operation, aimed allegedly at seizing the city from militants of the so-called Islamic State as well as preventing the city from falling into the hands of advancing US-backed Kurdish forces, Ankara’s move has made several things clear about the current geopolitical dimensions of the ongoing regional conflict. First, with US warplanes providing close air support for Turkish operations, claims by Ankara that the US was behind an attempted coup in July appear to have been fabrications and the coup itself likely staged. US Vice President Joseph Biden made an official visit to Turkey just this week in what was the highest level visit by a US representative since the attempted coup in July. Vice President Biden discussed bilateral relations and joint US-Turkish military cooperation. Biden, who visited Latvia on Tuesday, will look to show support with Turkey, while raising concern about the extent of the crackdown, according to officials. Turkey will press its case for Gulen’s extradition. “The vice president will also reaffirm that the United States is doing everything we can to support Turkey’s ongoing efforts to hold accountable those responsible for the coup attempt while ensuring the rule of law is respected during the process,” a senior Obama administration official told reporters, briefing ahead of Biden’s visit on condition of anonymity. 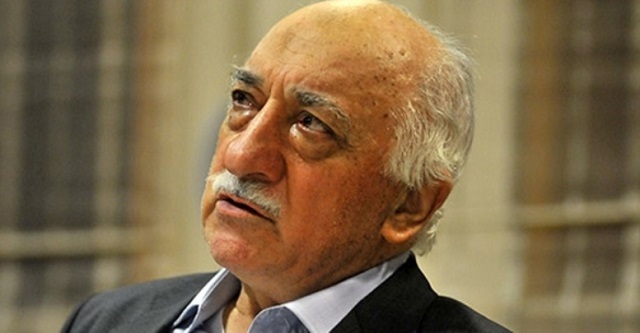 It is difficult to believe that Fethullah Gülen could have orchestrated a violent military coup while residing in the United States without the explicit approval and support of the United States government. Thus, for the US to “hold accountable those responsible for the coup attempt” would require the identification and detainment of those Americans who were involved. An unnamed senior US official in Washington told BBC News before the start of the Turkish operation that it was “partly to create a buffer against the possibility of the Kurds moving forward”. “We are working with them on that potential operation: our advisers are communicating with them on the Jarablus plan. It would be likewise difficult to believe that Turkey truly suspected the US of an attempted decapitation of the nation’s senior leadership in a violent, abortive coup just last month, only to be conducting joint operations with the US inside Syria with US military forces still based within Turkish territory. What is much more likely is that the coup was staged to feign a US-Turkish fallout, draw in Russia and allow Turkey to make sweeping purges of any elements within the Turkish armed forces that might oppose a cross-border foray into Syria, a foray that is now unfolding. …the coup was staged – not against Turkey – but in part by it, with the help of not only the United States, but also Gulen’s political faction. It will represent a 21st century “Reichstag fire” leading to a 21st century “Hitlerian purge,” removing the last remaining obstacles to President Erdogan and the corrosive institutions he has constructed in their collective bid to seize absolute power over Turkey. With Turkey now moving into northern Syria, backing militant forces that will go on to fight Syrian forces and prolong the conflict from a new forward base of operations inside Syria and with NATO protection, this is precisely what has now happened. The crossing of Syria’s border constitutes the fulfilment of longstanding plans predating both the Kurdish offensive and the rise of the Islamic State. The plans laid by Washington and its regional allies seek to establish a buffer zone or “safe-haven” within Syrian territory unassailable by Syrian forces from which Western-backed militants can launch operations deeper into Syrian territory. Currently, these operations are launched from Turkish territory itself. With militants being incrementally pushed out of Aleppo and Syrian forces making advances everywhere west of the Euphrates River, it appears that the US is attempting to use Kurdish forces to annex eastern Syria while Turkey’s latest move is aimed at finally creating a long-desired northern safe-haven in order to prevent a full collapse of fighting within the country. British special forces, meanwhile, are reportedly in southern Syrian attempting to carve out a similar haven for militants along Jordan and Iraq’s borders with Syria. The participation of US airpower in the ongoing operation also makes clear the lack of strategic and political depth of US loyalty to its supposed Kurdish allies, a betrayal in motion even as Kurdish forces are being marshalled and directed against Syrian forces by the US in eastern Syria. An alternative is for diplomatic efforts to focus first on how to end the violence and how to gain humanitarian access, as is being done under [Former UN Secretary General Kofi Annan’s] leadership. This may lead to the creation of safe-havens and humanitarian corridors, which would have to be backed by limited military power. This would, of course, fall short of U.S. goals for Syria and could preserve Asad in power. From that starting point, however, it is possible that a broad coalition with the appropriate international mandate could add further coercive action to its efforts. This is now precisely what is being created, starting in Jarabulus, and likely to extend westward toward Azaz, directly north of the contested Syrian city of Aleppo. Since 2012, various pretexts have been invented, abandoned and then revisited in order to justify a cross-border operation like the one now unfolding. This included Ankara itself plotting attacks on its own territory to look like cross-border terrorism that could be used as impetus for the creation of a Turkish-controlled Jarabulus-Azaz corridor.